Tara Watson-Watkins is the first woman President and CEO of the Lufkin/Angelina County Chamber of Commerce. The Lufkin native graduated in 2001 from Texas Christian University with a degree in Speech Language Pathology and began working in Dallas and Austin as a pharmaceutical representative with Pfizer Pharmaceuticals. In 2006, Tara returned to Lufkin as the Marketing Director for Woodland Heights Medical Center. Her combined experience, hometown pride and love of bringing people together led Tara to the City of Lufkin, where she served as the Lufkin Convention and Visitors Bureau’s Executive Director and the Artistic Director of The Pines Theater for nine years. 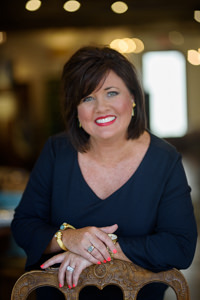 Through her passion for her community and her ability to encourage people to work together for a good cause, Tara has brought many great events and thousands of visitors to Angelina County, and has formed partnerships that will serve East Texas for years to come. Tara is a 2012 graduate of Leadership Texas, 2017 graduate of Leadership Lufkin and is very active in her community, serving on the boards of Hospice in the Pines, PineCrest Retirement Community, Angelina Beautiful Clean, the George H. Henderson Exposition Center and the Lufkin ISD Education Foundation. She also serves as President of the Lufkin/ Angelina County Economic Development Partnership and is involved as a sustainer in the Junior League of Lufkin. Tara had the opportunity to travel across the Lone Star State as Miss Texas 2000, speaking with over 300,000 school-aged kids on staying in school, being drug free and setting goals, and also presenting her HIV/AIDS program, Stayin’ Alive. She was also named to the Top 10 at Miss America in 2001. She is involved in her church, where she sings in the choir and continues to be an HIV/AIDS activist. When Tara is not volunteering in the community or at home with her husband, attorney Brent Watkins, and daughter, Analeigh Grace, she lectures and teaches across the state and throughout the country.